Enjoy al fresco dining with the Amalfi table and chairs set. 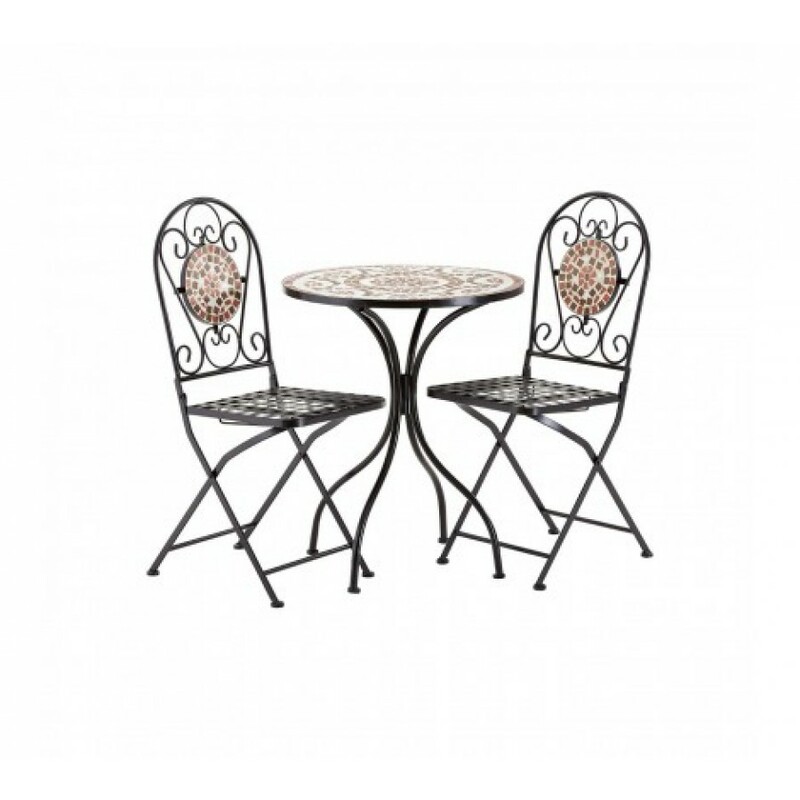 The round table and folding chairs are formed from strong and stable wrought iron. Each folding chair features a supportive slatted seat, while both table and chairs benefit from exquisite scrolled detail. Terracotta, brown, and white ceramic mosaic adorn the table and backrest of each chair, inspired by the Neapolitan palette.